Well, look who is trotting over to say hello. It's Henry the Horse! He doesn't like to be confused with the famous talking horse, Ed. He's so much cooler than that! 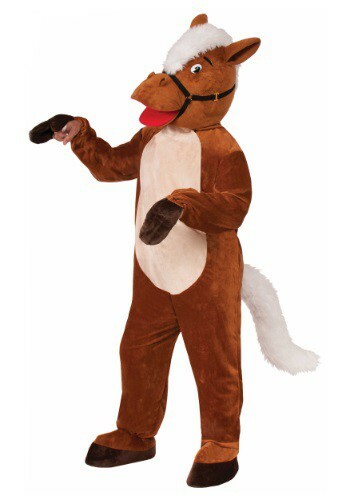 You'll love galloping around in this Adult Henry The Horse Mascot Costume. Wear it to a school sporting event and say 'hay' to all Everyone will love cheering for the prancing pony! Become a busy beaver and get tons done! Beavers are known for their strong work ethic so you'll be feeling very productive once this fuzzy animal jumpsuit is on. 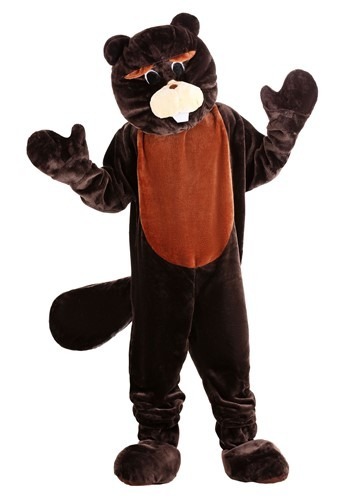 Build a dam, gnaw on some bark, or cheer on your favorite sports team in this cute and comfortable mascot costume! Remember, this is a 'tree-mendous' costume to wear in a parade or to a sports event! 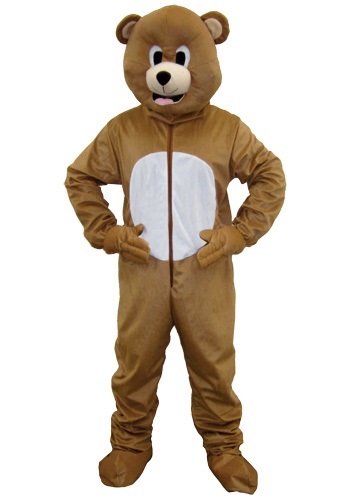 Bear down with this brown bear costume! You can decide if you want to be a ravenous grizzly bear on the hunt for revenge on Goldilocks or if you rather be cute and cuddly and in need of constant hugging. 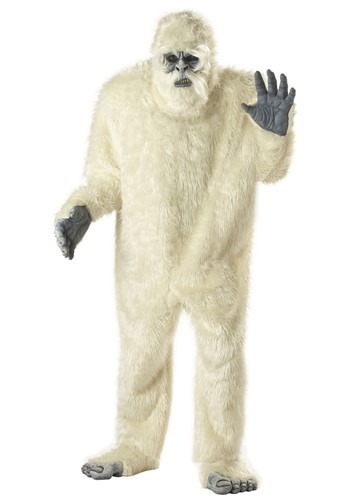 Dance around at your next sport event in this bear suit or wear it to the next costume party. 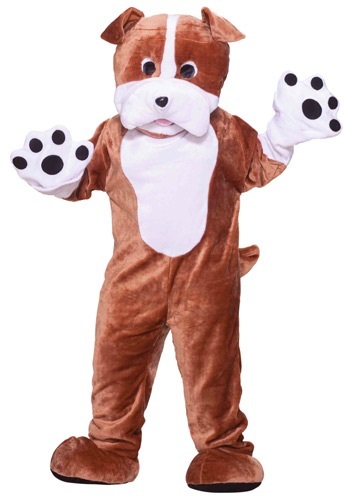 Let our wild side out in this funny mascot costume! If you are wearing a red shirt, you might want to start running because this bull goes crazy when he sees red. There's no bull about it, this is one costume that is great to pair with a matador costume. Ole! This Mascot Bull Costume is also great for cheering on the school team. 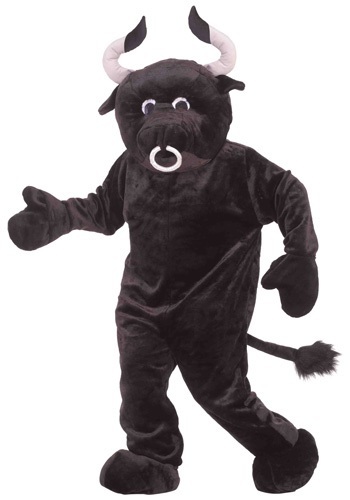 Get in the game with this cool bull costume! It's time to meet up with Alvin and the rest of the chipmunks when you wear this complete Mascot Chipmunk Costume. This costume is perfect for singing along to the Chipmunks' totally catchy tunes. You can also cheer on the school team because this is a great mascot costume that covers you head to toe, 100%! Joggers, beware! This croc is looking for its next snack to prance on by. 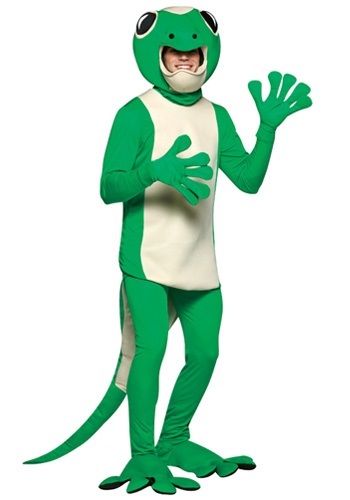 Prowl the swamp lands while you wear this Mascot Crocodile Costume. If the gators or the crocs are your favorite sports team, show up to cheer on your team in this comfortable jumpsuit. 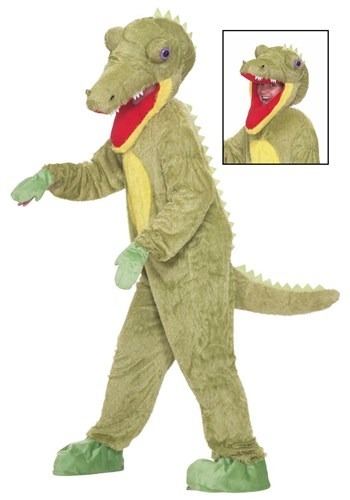 This croc costume will keep you 100% covered so you can gobble up the competition! 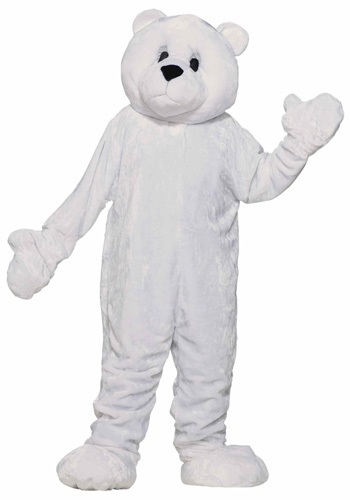 Blend in with the billowy snow banks when you wear this Mascot Polar Bear Costume. 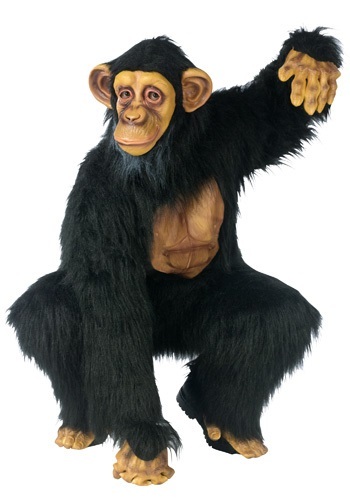 This costume is a very cute animal-inspired costume that keeps you covered from head to toe. 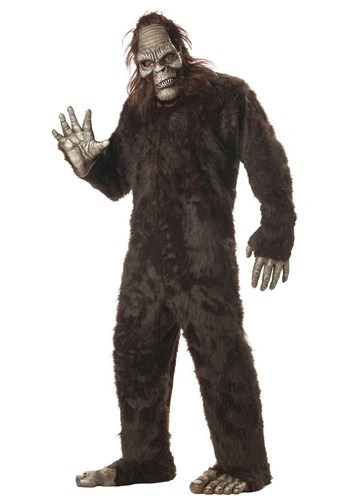 This costume is great for wearing to sporting events. Yell, "Go polar bears, go!" from the stands while your dressed in this complete mascot costume. Don't let his tough demeanor fool you - this pooch is man's best friend, through and through. Watch out if you decide to bring him along to sports games though, as he has the tendency to become stubborn as a bulldog when cheering for his favorite team.